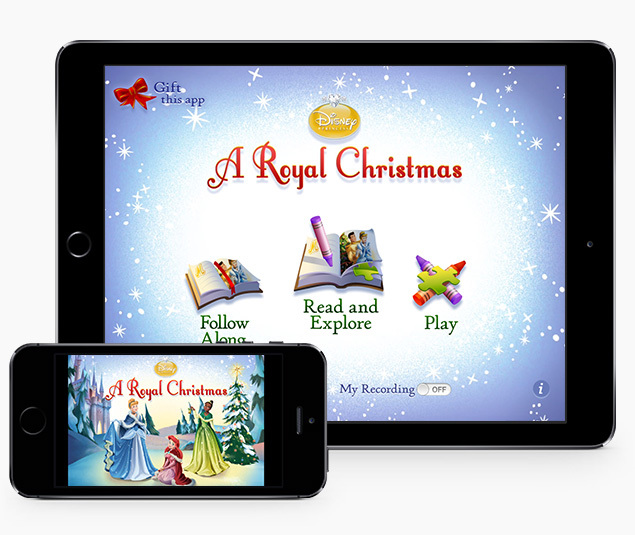 While at Small Planet Digital, a creative agency specializing in IOS applications, I worked with the team on several mobile apps for their client Disney Publishing Worldwide. 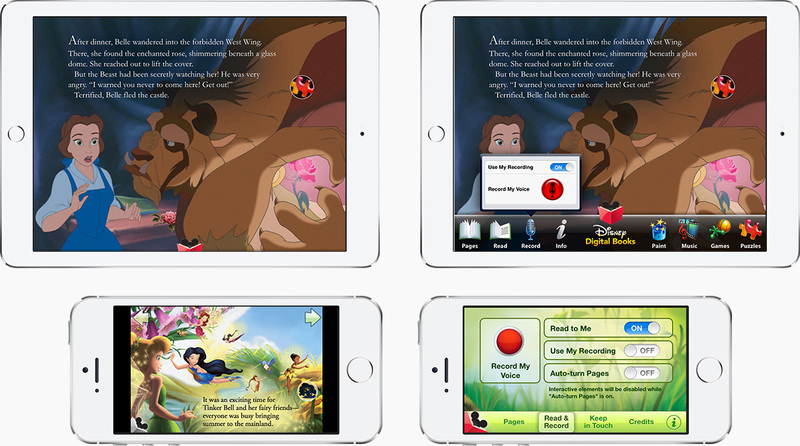 Most notably, we created several interactive storybook apps, filled with games, activities, and favorite Disney characters such as the Disney Princesses, Nemo, and the characters from the animated film Cars. As we added more and more titles we noticed shortcomings in the current storybook platform we had created. Since they were not initially designed as one platform, the experience and navigation differed from iPhone to iPad. Also, the need to place the story text on top of the images made translations difficult and took away from the beautiful artwork of the Disney illustrators. With the app world booming, I was lucky enough to work on a complete redesign of the storybook platform with a great team of designers and developers at Small Planet Digital. We re-thought everything from the ground-up, making the apps more scale-able, flexible, and user friendly. 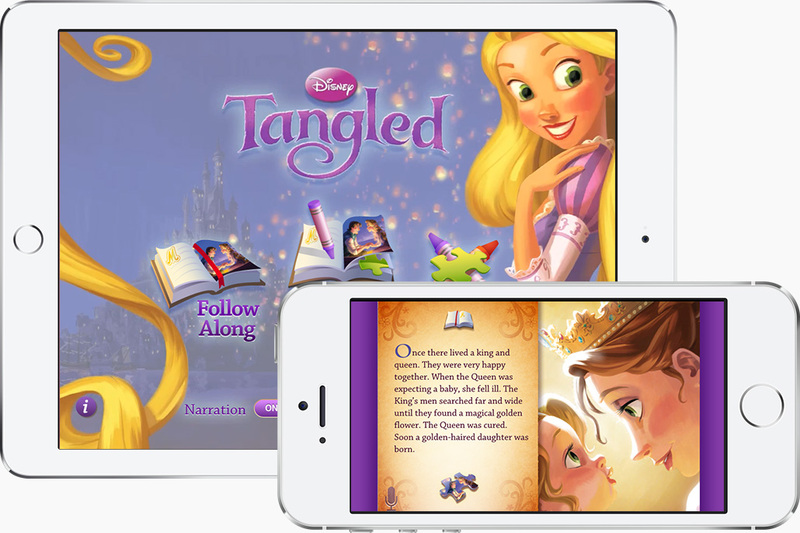 In order to accommodate for text but also allow full enjoyment of the Disney artwork, we crafted a seamless “digital pop-up” style reading experience. As the user swiped through the story from left to right they saw the animation unfold completely controlled by their gestures. This offered an incredibly interactive experience, and gave the user total control of the speed of the app, catering to the many ages that may be using it. In addition, we redesigned the menu and game features to feel more magical and less utilitarian. The layout and functionality for coloring, puzzles, recording, and various other features were completely revamped to include clearer iconography and a simpler user-flow. In terms of functionality, the re-design offered a shared platform for iPhone and iPad and a simplification in the translation of apps, both of which were extremely important for the scale-ability and revenue of these applications as Disney products. One of the design’s greatest features is its ability to be “skinned” for different titles, which allows for an immersive experience that feels custom tailored to each one.